Ever wish you could temporarily remove one of the walls from your house and take in the open space, beautiful scenery and fresh air of the outdoors? You can. It’s one of the more innovative features in San Diego home remodeling and design today. Lift and slide doors are wall-size glass panels that stow away, creating a wall that opens up your living space into the great outdoors. There are a number of different ways that glass doors can be integrated into your home, depending on the structure of the house and the scope of the wall. Essentially, they slide across the threshold on flush tracks, tucking away into a hidden compartment within the wall or resting on the outside wall. The panels are made from gas-filled glass panes and are encased in trim and hardware with levers and handles. One of the advantages of lift and slide doors is that they’re not restricted to flat walls. They also work with round rooms, corners and curves to create the ultimate transition into the next space. The height of the structure and size of the room impact the size and design of the lift and slide system. It creates a whole new dimension to your home remodel. 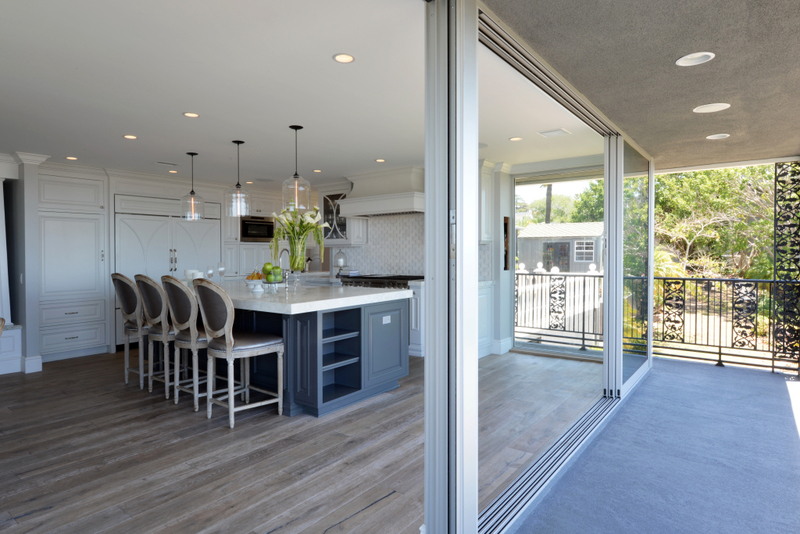 Depending on the manufacturer and the size and features you choose, a lift and slide door installation can cost between $30,000 and $45,000, making it a practical and affordable choice for many homeowners. A common use for these doors is in homes with transitional décor. They create a completely different tone and feel in the room when the doors are open as compared to when they’re closed. One of the most popular uses is creating an outdoor kitchen without losing the comforts and shelter of the indoors. Another option is creating a scenic living space from the great room or living room. If you like to entertain, opening up the wall space that transitions onto a patio offers your guests more room to roam and mingle.